In 2003, a researcher and her doctoral student at Johns Hopkins Arthritis Center received a small grant to begin a pilot study to test the feasibility of a yoga intervention for patients with rheumatoid arthritis (RA) and osteoarthritis (OA). The full research team included rheumatologists, public health professionals, mental health clinicians, and yoga experts. 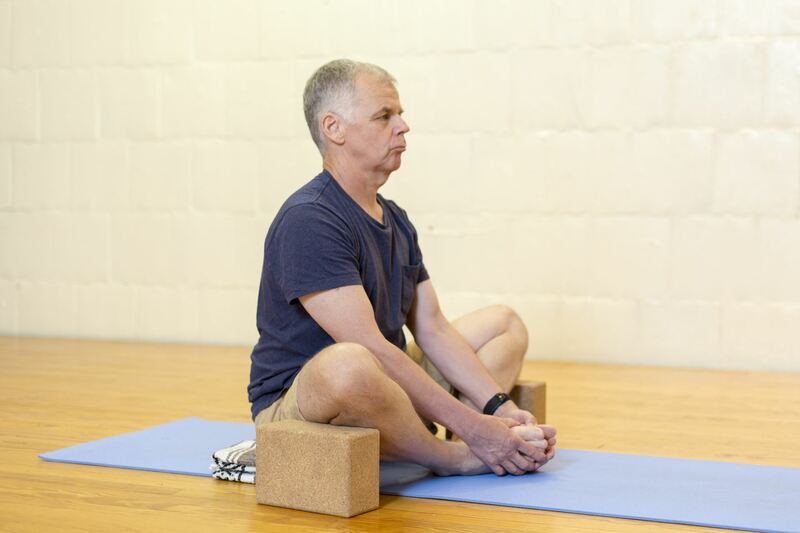 Seven years later, the funding and the project had grown to include 75 patients from 3 clinical sites to become the largest yoga RCT in arthritis. The interim results were presented at major scientific meetings almost every year of the study and ultimate findings were published in multiple peer-reviewed articles. 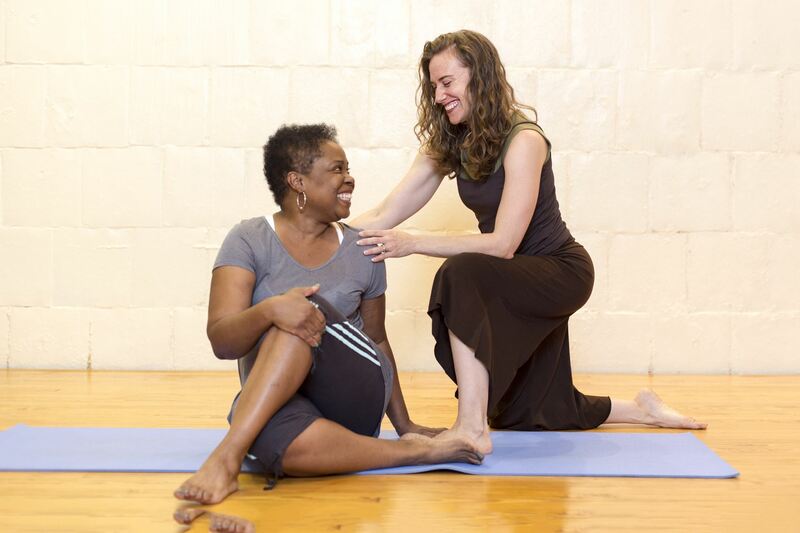 The protocol was then replicated at the National Institutes of Health over the next several years, exploring the role of yoga in self-care for underserved minorities with RA, OA, and lupus. A protocol, case study, feasibility paper, recommendations on clinical collaboration, mixed methods results, and case series have all been published from those efforts. The initial study was small, but it was a rigorous randomized controlled trial. The primary outcome was health-related quality of life, as measured by the Physical Component Summary (PCS) of the SF-36. For yoga participants, PCS scores improved by 25%. For waitlist controls, there was no change in PCS. We also assessed potential mediators, including disease symptoms, physical fitness, and psychosocial health. Significant differences between groups were found for: balance, flexibility, depressive symptoms, positive and negative affect. Pain improved by 30%. There was also improvement in the number of tender and swollen joints for patients with RA. There was not a significant difference between groups for: strength, mobility (walk time), perceived stress, or self-efficacy for arthritis management. There were no related adverse events reported. Additionally, adherence was high. Of those who attended the first class, 83.6% completed the intervention, attending at least 13/16 classes over 8 weeks. In the subsequent study, yoga was found to be feasible and acceptable for undeserved minorities with arthritis, including African Americans and Spanish speakers. Despite the small sample size, there were significant improvements in disability of the shoulder, arm, and hand. Improvements were also seen in the frequency of other health behaviors, including increased physical activity, stress management, and spiritual growth. Adherence was also high, as 100% of study completers were practicing yoga 3 months later. Common themes included self-efficacy, support, and benefits. Participants appreciated being in culturally congruent classes specifically for arthritis. Why recommend yoga over other forms of exercise? Assisted balances may reduce harmful falls and fear of falling through increased proprioception. Why can I trust a certified Yoga for Arthritis (YFA) Teacher? A minimum of a 200-hour Yoga Alliance certification is a prerequisite for attending any YFA training program, and 2 years of teaching experience are required to become a certified YFA teacher. The YFA Level 1 Course consists of 30 Yoga Alliance approved credit hours. It includes group discussions, hands-on joint modification instruction, presentations on arthritis pathophysiology, return demonstrations, and practice teaching sessions that are observed by a YFA teacher trainer. To become certified, teachers must acquire another year of mentored experience working with arthritis patients, followed by a refresher course with updated best practices. To remain certified, they must continue to attend programs for CEU credits, in which they are made aware of current research and changes in the field of yoga therapy. Find YFA DVD, Materials & More! How does YFA differ from other forms of yoga? At this time, yoga teaching is not a licensed field. When individuals attend a local yoga class, the teacher may have little or no training, especially for addressing the challenges presented by joint conditions. Classes may move too quickly, include advanced poses, or take place in a heated room. YFA teachers have a strong base of training and experience as a yoga teacher, followed by specialized training for working with joint conditions. No other program offers such rigor. There are certainly other yoga teachers who are also medical professionals or have additional knowledge that allows them to work safely and appropriately with arthritis patients. If a YFA teacher is not available in your area, we would be happy to contact local yoga studios and determine if there is a local teacher that you could safely recommend to your patients. Additionally, we would be happy to discuss providing a training program in your area. How do I know if it is safe for my patients? There is an inherent risk in any type physical activity. When compared to injury rates from other forms of physical activity, yoga comes across as relatively safe. For instance, yoga appears to be about four times safer than weight training. If there are specific movement contraindications for one of your patients, please communicate that with his/her yoga teacher. We will be happy to accommodate any necessary limitations. If you would like to see a class, please feel free to attend one of our classes, or request a copy of the Arthritis Foundation’s Arthritis-Friendly Yoga DVD, which we created in collaboration with AF, based on our classes. We can also conduct a demonstration for you and your colleagues, if desired. Is Yoga for Arthritis strenuous? The level physical exertion is dependent on the student’s strength and range of motion. In general, the style of yoga in the Yoga for Arthritis program is based on moving into gentle postures with an emphasis on alignment. Students are instructed to practice within their own unique limitations and to stop or modify a pose when they feel pain. The instructor creates a learning environment that is multi-dimensional so that each student feels comfortable doing what is most appropriate for them. The yoga teacher is specifically trained to understand the difference between sensations that can cause harm (ie. pain) and sensations that are therapeutic (muscle engagement, gentle stretching) so that the students learn to identify those differences in their body. Potential harm to students is related to their musculoskeletal system integrity. There is a risk of moving a joint beyond its limited range of motion (hyper-extension) or by exerting too much pressure on a joint which could lead to tissue damage or fractures. The YFA teacher is trained to understand, recognize and prevent students from being positioned and moving the ways that are potentially dangerous to weak and impaired joints. Injury from a fall due to unbalanced standing poses is possible. Muscle and/or ligaments damage is possible as a result of improper technique practiced without respect to one’s limitations. These risks are minimized in classes specifically designed for people with arthritis, or in other classes that are slow, gentle, and emphasize body awareness. As demonstrated by several research studies, yoga may improve aspects of physical fitness, disease symptoms (pain, swelling, tenderness, fatigue, etc), psychosocial health, and quality of life for people with arthritis. Studies have been relatively small to date, utilizing different measurement tools and outcomes. At this time, meta-analysis is not possible. However, yoga appears to be safe for RA and OA, with no adverse events reported in any published studies in arthritic populations. Our team continues to mentor yoga researchers at prestigious institutions to increase the available body of research evidence. Can my patients benefit if their mobility is significantly impaired? Yoga for Arthritis classes are designed to accommodate all types of student mobility limitations. An entire yoga class can even be adapted and practiced with a standard chair. 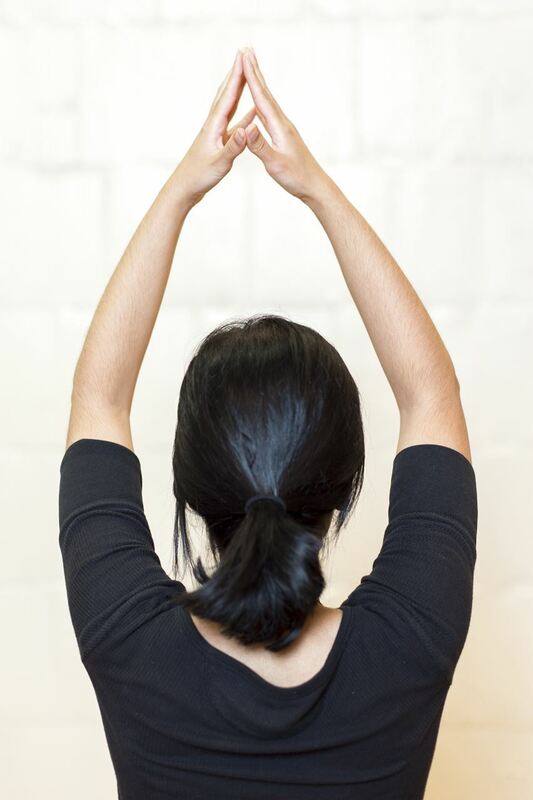 All YFA teachers are trained to modify yoga poses so each student can participate according to their potential. Although alignment is critical, emphasis is placed on how the posture feels instead of how advanced it is. Students can be fully engaged, regardless of their ability. SUBSCRIBE TO OUR NEWSLETTER TO RECEIVE TWO FREE GIFTS FROM YFA?